Thanks to Rick Jacobs of the Courage Campaign live blogging today's Prop 8 trial hearing at Prop 8 Trial Tracker (which launched today), those of us who were not able to go to San Francisco and watch are still kept up-to-date on the proceedings. 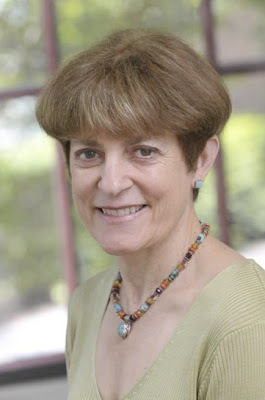 Harvard professor Nancy Cott, expert on marriage history in the United States and author of Public Vows: A History of Marriage and the Nation, was a witness brought in by the plaintiffs (aka anti-Prop 8 side) and examined by Gibson Dunn attorney Ted Boutrous. Boutrous is asking about the Prop. 8 ads that say that biblical marriage is the goal of the US. The other side objected, saying that she is not competent to opine on the ad because she has not seen the ad. But then the judge said that she could opine because she saw the ad this morning. Prof says this is not accurate including from ancient Jews, Muslims now. I think that Christianity has been the source of monogamy vs. polygamy. I suspect the person in the ad referred to the New Testament when he said biblical marriage. She said the success of the view of monogamous marriage is a tribute to evangelical Christianity, particularly in this country since the 19th century. Now they are talking about the social meaning of marriage. Marriage is unique because it successfully combines private and public. It is successful as an institution as a couple’s valuation of living together, commitment to each other and engage in an economic partnership to their household. Upon that core, very many cultural add ons have been admitted as well. The ability to marry, to say I do, is a civil right. It demonstrates liberty. This can be seen in American history when slaves could not legally marry. As unfreed persons, they could not consent. They lacked that very basic liberty of person to say I do which meant they were taking on the state’s obligates and vice versa. A slave could not take on that set of obligations because they were not free. Jacobs goes on to describe her appearance well, saying "the professor is wearing a green sweater top. She has light brown hair, neatly cut and stylishly carried. She’s exactly the look that you’d expect if you were watching DaVinci Code and wanted to imagine a Harvard/Yale, self-confident and approachable professor." Back in 2004, Professor Cott spoke to NPR regarding marriage equality. You can listen to that interview here. Thankfully, this very interesting witness will be back on the stand tomorrow.